I don’t know whether God made dark chocolate to go with red wine or whether they found each other after the fact, but it sure is nice to be off my feet and enjoying a little of both after a wonderful weekend of the South Carolina Book Festival. What a wonderful collection of folks from all over the state and the Southeast. It was great meeting so many new faces and reconnecting with some old friends I haven’t seen in years. But I think my favorite part was the kids. We had set up a little putting green in our booth to distract the kids while Mom and Dad, Grandma and Grandpa or other supervising adults flipped through our book. We never thought it would be such a hit. 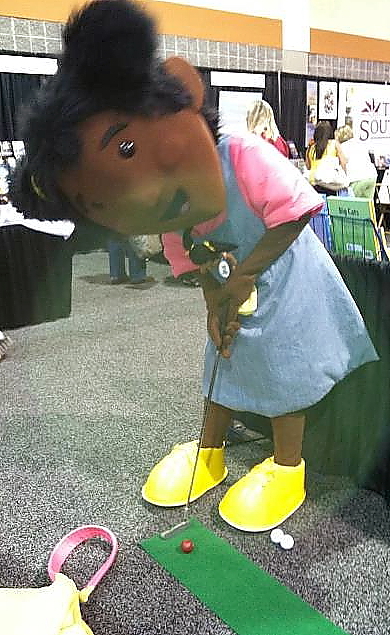 Even Tori from “Tori Explores South Carolina” took a few swings. We hope Tori follows some of our suggested itineraries as she tours the state. 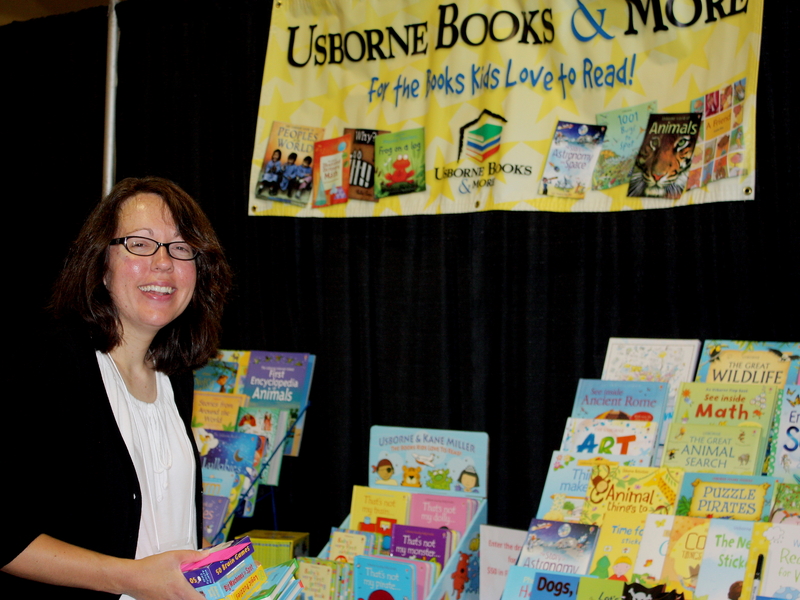 Kelly Larkins with Usborne Books & More was a great neighbor during the festival. 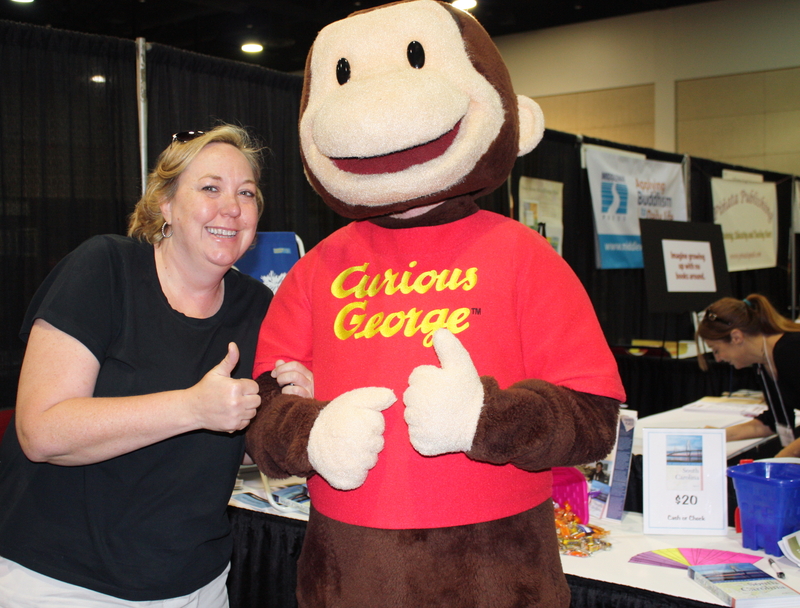 But all of the kids were just great – funny, interesting and well read thanks to the efforts of our neighbors during the festival: Kelly Larkins of Usborne Books & More and Rolling Readers of the Midlands. We had hundreds of people stop by our booth and a few decided to try our book. Many more took a chance at winning a copy and that goes to: Pamela Fitz. I don’t remember Pamela specifically, but I do hope she is the woman who told me she never wins anything. Also, I must quickly apologize to the S.C. Humanities Council and the South Carolina Book Festival organizers: You are not in my book. My first time attending the event was last May – after I had sent the book to my publisher. But I can highly recommend it as an event for the whole family. 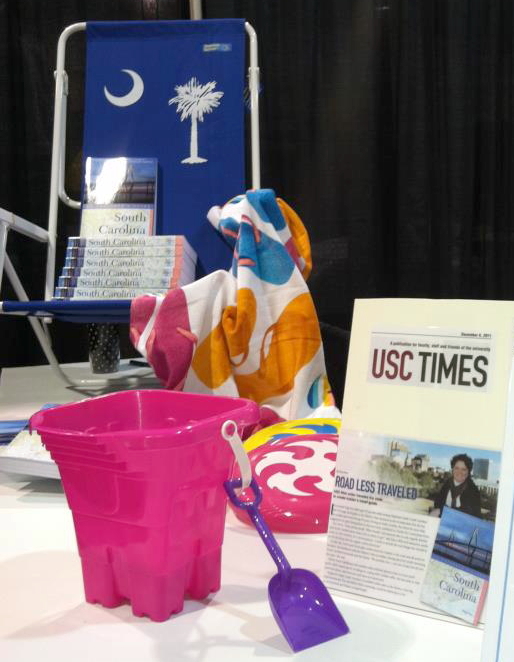 This year, famed South Carolina writers Pat Conroy and Josephine Humphreys were there. There are always plenty of vendors and authors of children’s books. One that I saw this year that I hope to explore more is JeehyunHoke Illustration. Her “Who do you think? & Why do you think?” series lets kids tell a story to solve a crime. Well that’s it from my first book festival. I hope you all had as much fun as we did. Check back in for more updates on fun things to see and do and places to eat and stay in South Carolina. South Carolina Book Festival (803-771-2477; www.scbookfestival.org), Columbia Metropolitan Convention Center, 1101 Lincoln St. This two-and-a-half-day festival brings together bookworms, writers, publishers and others together to share their love of the printed word. The festival focuses on writers from South Carolina and the South or topics of interest to Southern readers. The festival has been held in May in recent years and usually starts with a paid workshop and reception on Friday night with the free events on Saturday and Sunday. Located in the heart of Columbia’s Vista restaurant and entertainment district, the festival offers visitors a chance to get in some sightseeing while they are in town. This entry was posted in Festivals, To Do and tagged SC Book Festival, To do, Travel. Bookmark the permalink.